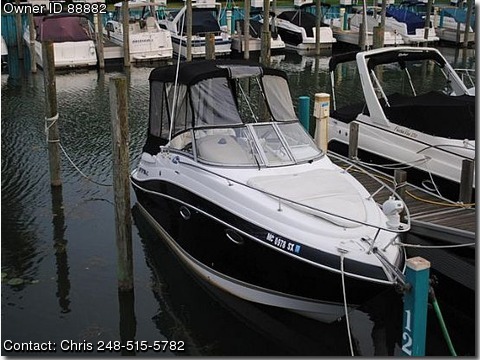 Beautiful Four Winns Vista 258 w/ many extras!!!! Camper top, VHF, GPS, Depth Finder, compass, extended warranty, countertop w/ electric stovetop, microwave, refridgerator, hot and cold water, shower and head. Also included: extended engine warranty until 2013, 4 bumpers, 6 tie lines, 10 life jackets, fire extinguisher, first aid kit, flares and trailer. This boat has it ALL! !